“Shot over five countries and three years in the making comes the young Brighton-born director and Albion season ticket holder Elliott Hasler’s epic depiction of his great-grandfather, Charlie Standing’s experiences in WW2 in the form of a feature film; Charlie’s Letters. Charlie was a Private in the Royal Hampshire Regiment and from Milner Flats in Brighton. In 1943 he was sent to Tunisia where he was subsequently captured during the ferocious and unsung battle of Sidi Nsir. He was then sent to various camps in Italy as a POW and after the signing of the Italian Armistice, simply walked out of the camp; alone and in a hostile world, miles from home. Over the next 18 months he journeyed south, evading Germans, living with peasants and fighting with the underground resistance, while his wife and young son anxiously awaited news back in Brighton. Charlie’s Letters will premiere in May as part of the Brighton festival and then in August for the Edinburgh Fringe, the East London fringe has also requested he show it there in July. Tickets are now on sale for the Brighton Fringe via www.relsahproductions.co.uk. 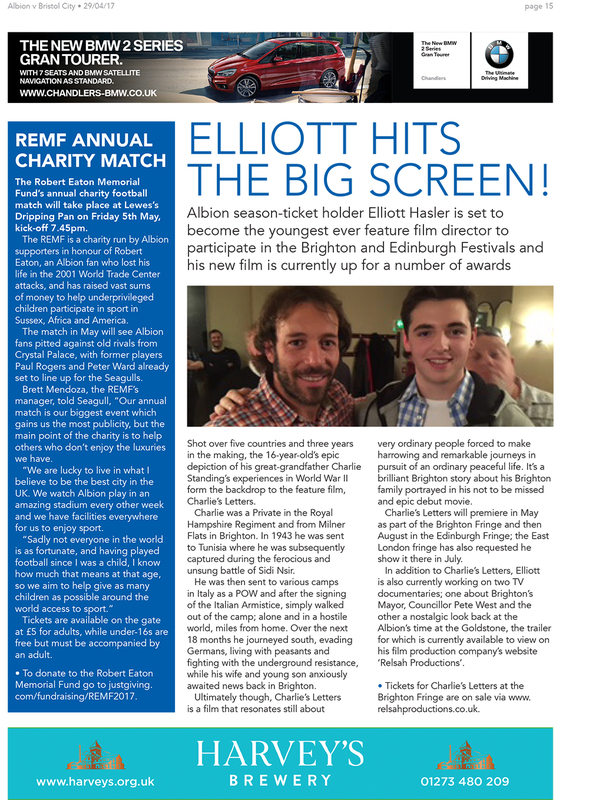 Elliott Hasler still only 16 years old will be the youngest ever feature film director to participate in the Brighton and Edinburgh Festivals and his film is currently up for a number of Awards. Ultimately though, Charlie’s Letters is a film that resonates still about very ordinary people forced to make harrowing and remarkable journeys in pursuit of an ordinary peaceful life. 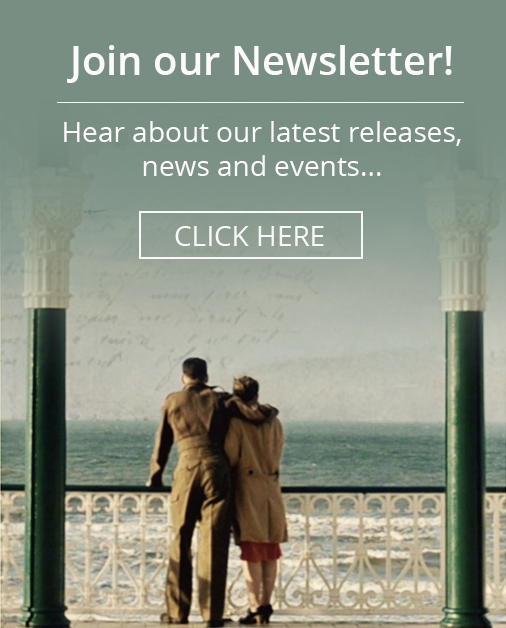 It’s a brilliant Brighton story about his Brighton family portrayed in his not to be missed and epic movie.